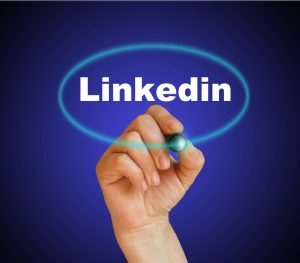 The social media platform LinkedIn has long since evolved beyond its original context as an Internet space for job seekers and employment recruiters. With hundreds of millions of members, LinkedIn has become the preeminent online crossroads for business professional networking, knowledge sharing and market intelligence, as well as employee recruitment. Unlike a LinkedIn company page, which posts news about your business, products and services, or a Facebook page, where camaraderie and funny pet pictures are acceptable, if not the norm, a personal LinkedIn profile is about your professional activities, expertise and business accomplishments—in essence, your personal brand as a business professional. With a smart LinkedIn profile and a well-honed strategy, this social site for business people can become your powerful partner in long-term personal branding and relationship-building with industry peers, customers and prospects because, as LinkedIn’s slogan states: Relationships Matter. If Peters were to update the article today he would undoubtedly urge involvement on LinkedIn as critical to success because, in today’s working world, a professional online brand is crucial. Be authentic. Your best online persona is real, honest and focused on what makes you unique and what you can offer. Personal branding on LinkedIn may be about identifying business leads, but it is not about sales or spin. Create a distinctive LinkedIn profile headline. Your headline is the first description of you that people will see. Make it count. Good headlines are clear, confident and use terms people in your professional position use to search. Avoid clichés. Phrases like ‘extensive experience’ and ‘team player’ appear on so many profiles that they are almost meaningless. Find unique ways to describe your skills. Be visible. Stand out by updating your status with projects you’re working on, articles or white papers you’re reading (and your opinions on them), and events you are attending. Your brand is not just who you are; it’s what you do, what you accomplish and what you think and share. Build connections. We are all judged by the company we keep. By building your LinkedIn network, you are building your personal brand. Connect with colleagues, customers, prospects, former co-workers, alumni and friends. Add to your knowledge. Differentiate yourself by knowing your industry deeply. Read up on topics you care about and professionals you admire (as a start, check out LinkedIn blog , Pulse and Influencers). Share in LinkedIn groups. Every electrical industry or professional position-related group post you make and question you answer is an opportunity to market yourself, build your credibility and stay on top of current trends and intelligence in the marketplace. Be personal. Customize connection requests or any other message on LinkedIn, specifically to your recipient. People will appreciate the personal attention. Be consistent. Make sure all aspects of your professional brand footprint are consistent and send the same message—from your LinkedIn profile to your resume to other social network pages. Share. Helping others is a crucial way to build your personal brand. Give advice (when requested), share business perspectives, provide endorsements and congratulate people on their successes. By putting these fundamentals into practice, you can build and grow your personal brand over time by taking advantage of LinkedIn as a customizable and multi-faceted branding platform. Publicize. LinkedIn makes you visible to decision-makers who are looking for the services and knowledge you provide. With relevant keywords, your LinkedIn profile connects you with people who need what you have to offer or who share your professional interests and challenges. You may not know who might be looking for you, but a profile packed with appropriate search terms will help you get on their radar. You want to be open to all potential opportunities—especially the ones you didn’t know existed. Real personal brand growth comes from branching out into new territory. Brand Yourself. Often delivering the first impression to a prospect, your LinkedIn profile is you when you aren’t there. If people are researching you on Google, it’s likely they will end up at your LinkedIn page. That’s because when someone searches your name, LinkedIn will typically show up at the top of the results—making your profile their most likely resource for learning more about you. Connect. LinkedIn allows you to be part of the right conversations. More and more, you need to be connected to others who share your expertise and challenges. The electrical industry is moving fast, and you need to be proactive to stay informed and knowledgeable. LinkedIn groups make it efficient for you to be part of targeted discussions so you can remain current. Expand your personal website. LinkedIn lets you showcase your expertise and express your point of view. It’s not just about accomplishments, but about your unique perspectives. Through the content you share, the groups you join and the conversations you have, you bolster your brand in a personal way with connections and those who view your profile. Maintain your portfolio. LinkedIn helps you paint a portrait of the value you create. Once completely text-based, the site now allows you to integrate images and videos into your profile summary and experience, making it a true multimedia portfolio of who you are and what you have to offer. Enhance credibility. By allowing your community to applaud your accomplishments, LinkedIn provides validation for everything you say about yourself. Endorsements by your connections help confirm your strengths and skills. Boost your online recruiting. LinkedIn helps you find the ideal people you need for open positions on your team. When you are looking to source staff, LinkedIn is among the first places you should go to create a short-list of potential candidates. Identify leads. Because LinkedIn lets you showcase your achievements, it opens doors that might otherwise be closed. If you’re looking to get in to see a potential business partner or prospect, your complete and compelling profile can support arranging a face-to-face meeting. Use groups and connections to identify which doors you want to open. Manage contacts. LinkedIn allows you to organize and manage all your contacts. You can add your email and phone contacts to your LinkedIn connections, making it the only tool you need to connect with key players in the industry, even when they switch jobs. Thanks to tagging, you can group your contacts and communicate with them by category. Bolster business intelligence. Whether you are looking to learn new information, want to see who the experts are in a specific area or would like to know more about a particular company or product, LinkedIn provides a wealth of knowledge and analytical tools. It may take a consistent effort, but spending a little time on LinkedIn every day can deliver big rewards. This one resource gives you key tools for delivering greater value, growing your team, and building your personal brand—for many years to come. Victoria Hurley-Schubert is a public relations and social media specialist at CMA. Looking to create a social media strategy that makes people sit up and take notice? CMA can help! Contact us at 800.852.4269 or email us at info@cmasolutions.com.